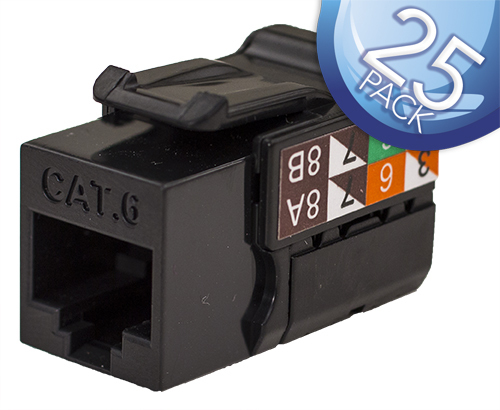 CAT6 Data Grade Keystone Jack – 25 Pack, RJ45, 8×8, Almond. Terminate these jacks with our I-Punch tool. CAT6 Data Grade Keystone Jack – 25 Pack, RJ45, 8×8, Blue. Terminate these jacks with our I-Punch tool. 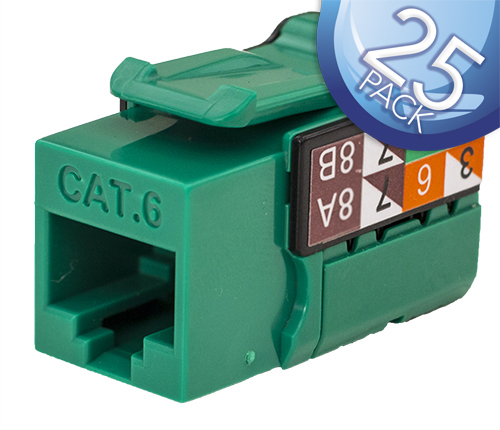 CAT6 Data Grade Keystone Jack – 25 Pack, RJ45, 8×8, Green. Terminate these jacks with our I-Punch tool. 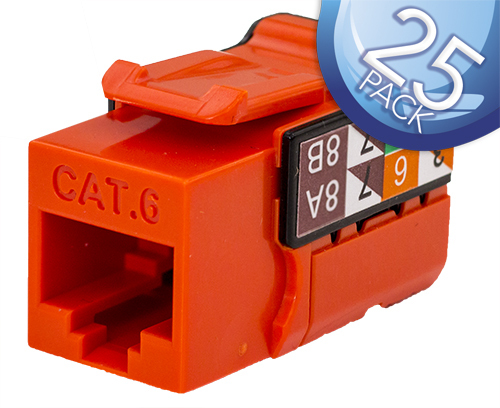 CAT6 Data Grade Keystone Jack – 25 Pack, RJ45, 8×8, Orange. Terminate these jacks with our I-Punch tool. 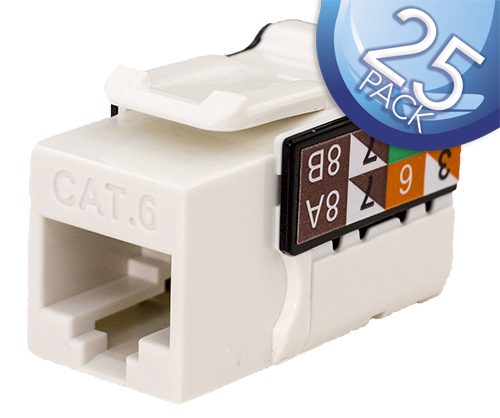 CAT6 Data Grade Keystone Jack – 25 Pack, RJ45, 8×8, White. Terminate these jacks with our I-Punch tool. 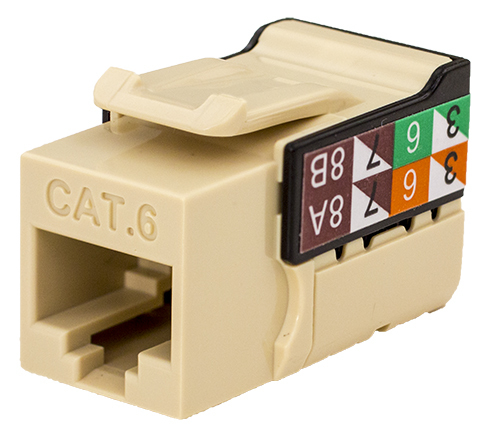 CAT6 Data Grade Keystone U-Jack, RJ45 90° 8×8 Almond. Save time. Terminate this jack with our I-Punch tool. 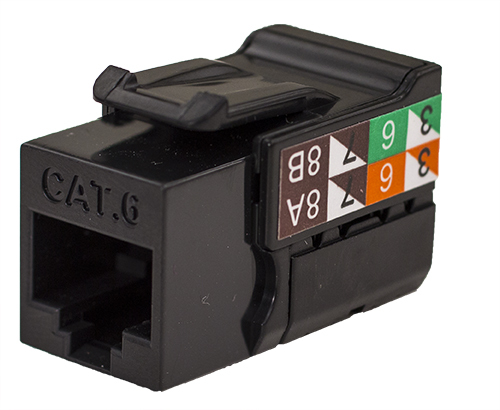 CAT6 Data Grade Keystone U-Jack, RJ45 90° 8×8 Black. Save time. Terminate this jack with our I-Punch tool. 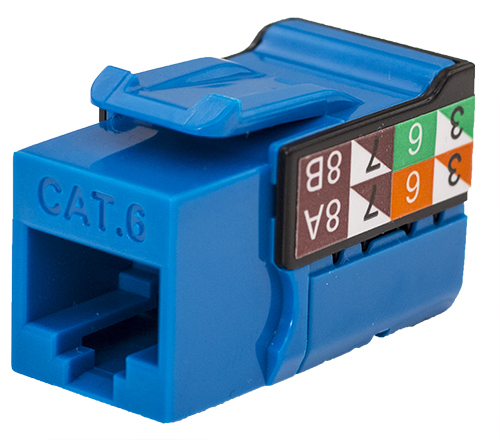 CAT6 Data Grade Keystone U-Jack, RJ45 90° 8×8 Blue. Save time. Terminate this jack with our I-Punch tool. 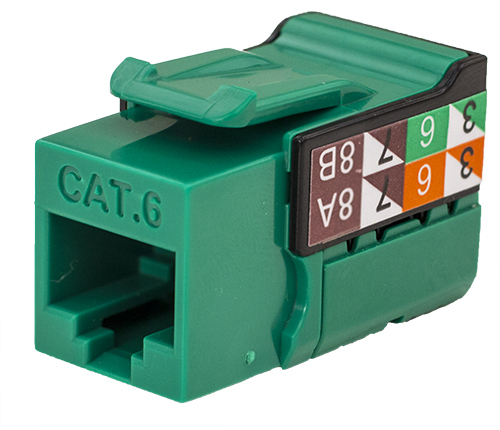 CAT6 Data Grade Keystone U-Jack, RJ45 90° 8×8 Green. Save time. Terminate this jack with our I-Punch tool. 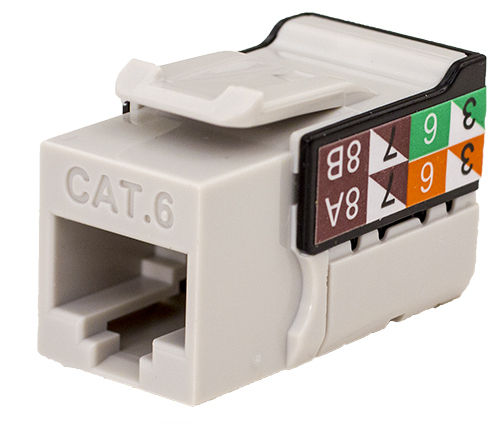 CAT6 Data Grade Keystone U-Jack, RJ45 90° 8×8 Grey. Save time. Terminate this jack with our I-Punch tool. 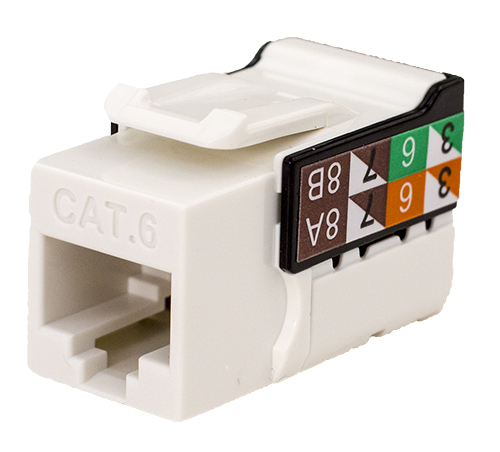 CAT6 Data Grade Keystone U-Jack, RJ45 90° 8×8 Ivory. Save time. Terminate this jack with our I-Punch tool. CAT6 Data Grade Keystone U-Jack, RJ45 90° 8×8 Orange. Save time. Terminate this jack with our I-Punch tool. 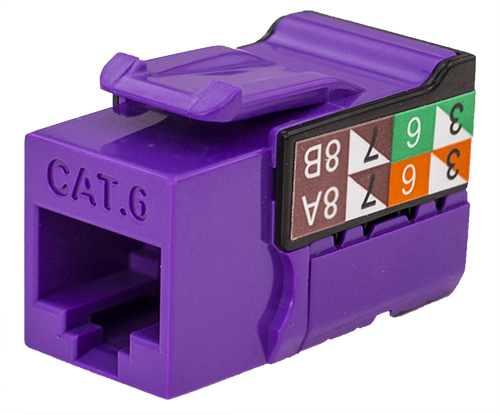 CAT6 Data Grade Keystone U-Jack, RJ45 90° 8×8 Purple. Save time. Terminate this jack with our I-Punch tool. CAT6 Data Grade Keystone U-Jack, RJ45 90° 8×8 White. Save time. Terminate this jack with our I-Punch tool. 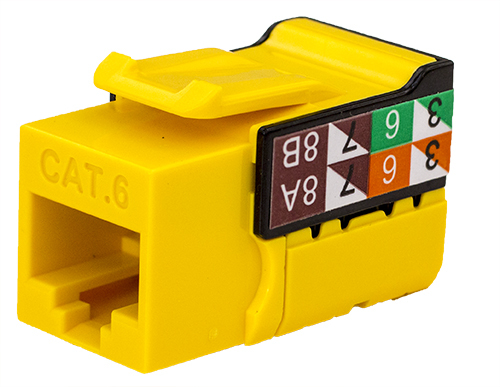 CAT6 Data Grade Keystone U-Jack, RJ45 90° 8×8 Yellow. Save time. Terminate this jack with our I-Punch tool.